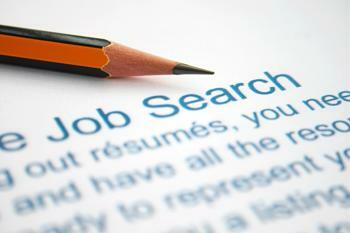 Employed individuals never know when they will have to dust off their resume and start looking for a new job. If recent years have taught workers anything, it is how quickly the economy – and their lives – can change. For this reason, it is not a bad idea for workers to always be prepared to restart their employment search at a moment's notice. When job seekers come across a great job opportunity online, they want to apply right away. However, if their resume has not been updated since before their last job, they could end up spending the next few hours looking up information to help them redo their resume. In the time it takes for job seekers to do this, someone else could be submitting an application and up-to-date resume that secures them the position. Job seekers can avoid this scenario entirely by keeping their resume updated at all times. On the job, workers are constantly picking up new skills and collecting accolades. They should all be reflected on a resume. If individuals do not have the time to update their resume regularly, The Daily Muse recommends keeping a Word document for the purpose of jotting down accomplishments as they come up. When the time comes to update a resume, job seekers can easily pick and choose items from the Word document. Receiving a job offer from a company should not be an excuse to stop networking. Workers never know when meeting someone new will open a door to new career opportunities. U.S. News & World Report states that effective networking begins before the job search begins. Individuals should be willing to establish long-lasting relationships with other professionals that are built on trust and the exchange of mutually beneficial information. Today, many individuals are finding job opportunities on social media websites like Facebook, Twitter and LinkedIn. For this reason, it is important for workers to keep using these websites, even when they are not searching for open positions. At the same time, the information they share online should reflect their professional accomplishments. This means their LinkedIn profile should be updated as frequently as their resume.